In May 1979 Amy rode Cinderella's Golden Carrousel in the Magic Kingdom at Walt Disney World for the first time. 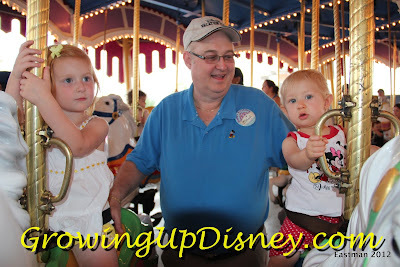 In May 2012 we took Tink and Minnie on the same ride, now known as Prince Charming Regal Carrousel. To me it is a wonderful experience to have taken my daughter and granddaughters on the same ride at the Magic Kingdom 33 years apart. 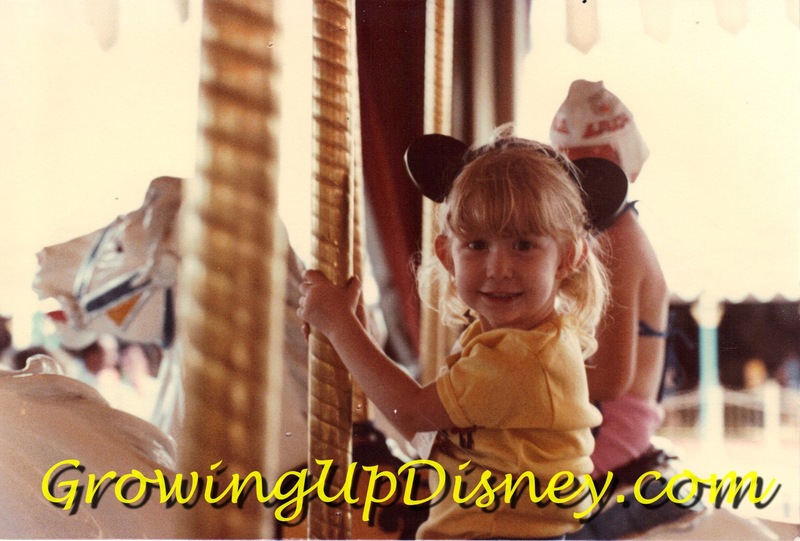 Amy was 3 when she took her turn on the magical horses. Tink had just turned 3 and Minnie was almost 1 in this picture. Now for a bit of Disney Trivia: The Carrousel was built by Italian woodcarvers at the Philadelphia Toboggan Company in 1917. It was first located at the Detroit Palace Garden Park before being featured at Olympic Park in Maplewood, New Jersey. Each of the 90 horses are unique. It's technically the oldest attraction in Fantasyland and it began its run in the Magic Kingdom in 1971. So adorable! I see the family resemblance! Aw, very sweet--and so special! 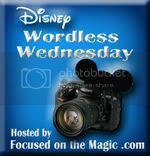 Thanks for sharing and for joining in on the Disney Wordless Wednesday Blog Hop fun. 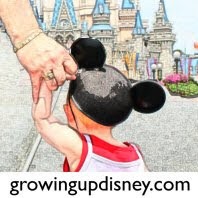 It's so cute to see the comparison shots like that - And how wonderful to be able to share Disney with your granddaughters now! I had no idea that the carousel had changed names though - pretty sure that I'll always refer to it as Cinderella's Carousel. Adorable. Looking forward to the 2045 shot!